If you’re a typical American, you have credit card debt. For many Americans, a little bit of debt is fine because it’s required for buying clothes and accessories. But how much credit card debt is too much? How can you know about it? Your debt-to-income ratio can help you determine if you have too much credit card debt. If your debt burden (excluding home loan and student loan) is more than 50 percent of your annual income, then you’re in trouble. You have too much credit card debt. You can use an online debt-to-income ratio calculator to know if you have too much debt. Enter your debt and income details into the calculator. Be honest when you’re giving all the details into the calculator. Otherwise, it will be impossible to get the correct figure. 1. Cut down your expenses: The best way to generate free cash is to lower your discretionary spending. This will help you to make larger payments to creditors every month and get out of debt quickly. You can go on a 14-day spending diet to reduce your expenses. Apart from that, you can walk to work, sell a vehicle, sell unused items, install a CFL bulb, cancel your club memberships, cancel magazine subscriptions, etc. Focus on the items you need and stop spending money on luxury items. Treat yourself once a month so that you feel good and stay motivated. But you have to make a few big sacrifices to eliminate your debts. 2. Attend a credit counseling session: The first step to get out of debt is to attend a credit counseling session. A certified credit counselor looks at your income and liabilities. He evaluates your spending habits and helps you understand how you got into debt. 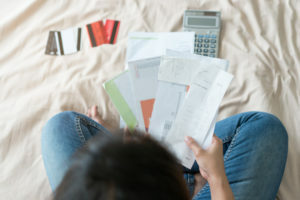 The credit counselor suggests a few money management tricks and a good personal budget plan to pay back your creditors. 3. Enroll in a debt management plan: An effective debt management plan helps to lower your interest rate. It gives you a proper money management plan to pay off your credit cards within five years. Instead of making multiple payments, you have to make one monthly payment to us. We will disburse the payments amongst your creditors. The best part of a debt management plan is that it helps you save thousands of dollars and your precious time. You can get rid of debt within five years. But if you make only the minimum monthly payment, then it may take 20-25 years to pay down your credit card debt. 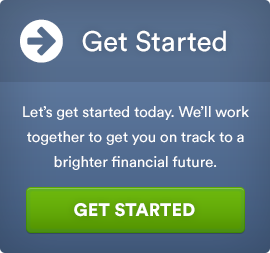 Call (800) 920-2262 if you want to get a free budget counseling session and enroll in a debt management plan right now. DebtHelper.com is an IRS approved 501c3 Non-Profit Florida Corporation, so you don’t have to worry about the quality of services. You are working with the best people in this industry. 4. Consolidate your unsecured debts: You can consolidate your debts in various ways. For instance, you can take part in a debt consolidation program and combine your multiple accounts in a single monthly payment plan. The debt counselor negotiates with your creditors and arranges a single and affordable repayment plan. Apart from this, he also requests creditors to waive off all the late fees and penalties. This helps you to save a lot of money. Just don’t get confused between a consolidation program and a loan because both are different. In a debt consolidation loan, you shift your debt to a new loan. That’s it. But in a debt management plan or a debt consolidation program, you pay off the balance in full. 5. File Chapter 7 or 13 bankruptcy: This is your last option to get out of debt. Chapter 7 bankruptcy helps you to knock-off debts through asset liquidation. On the other hand, Chapter 13 bankruptcy helps you pay back your creditors with a court-approved repayment plan. Both have pros and cons. A Chapter 7 bankruptcy is a good option when you want to be debt free within 3-4 months. A Chapter 13 bankruptcy is a feasible option when you can stick to the repayment plan for five years. Wait! Don’t start planning to file bankruptcy right now. There are a few things you need to know before you try to start the bankruptcy process. You have to complete a financial education course in compliance with the bankruptcy code. Do you want to manage your credit card debts and improve your financial life? Do you want to get a personal financial education? Call (800) 920-2262. You’ll get the best help and guidance right now.